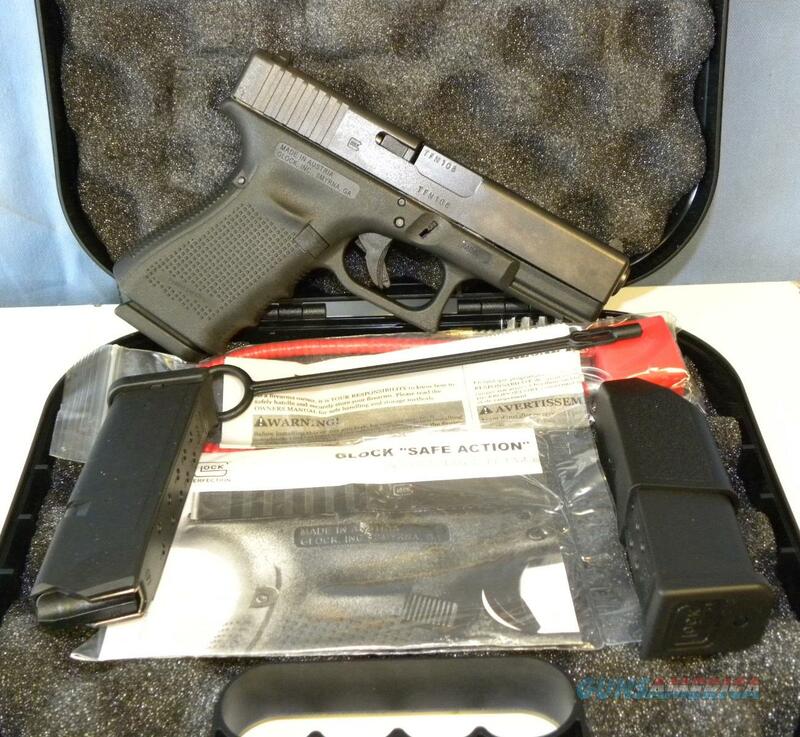 Description: NEW GLOCK MODEL 23 GEN4 IN 40SW. SEMI-AUTO TRIGGER SYSTEM, TENIFER MATTE BLACK FINISH POLYMER RECEIVER WITH RAIL AND FINGER GROOVES. 4” BARREL, SAFE ACTION AUTO SAFETY, FIXED SIGHTS, INTERCHANGEABLE BACKSTRAP, REVERSIBLE MAG CATCH. COMES WITH THREE 13 ROUND MAGS, HARD CASE, TRIGGER LOCK, LIFETIME WARRANTY, MAG LOADER,CLEANING ROD WITH BRUSH AND MANUAL.